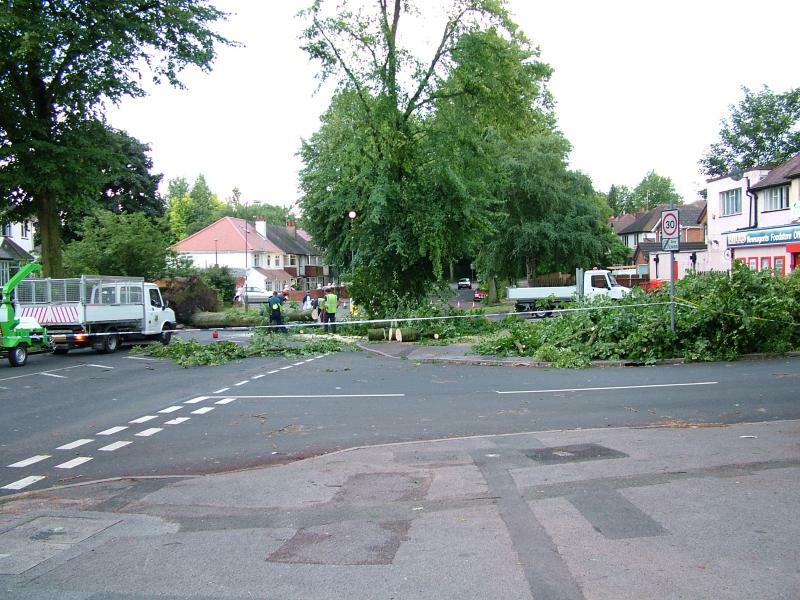 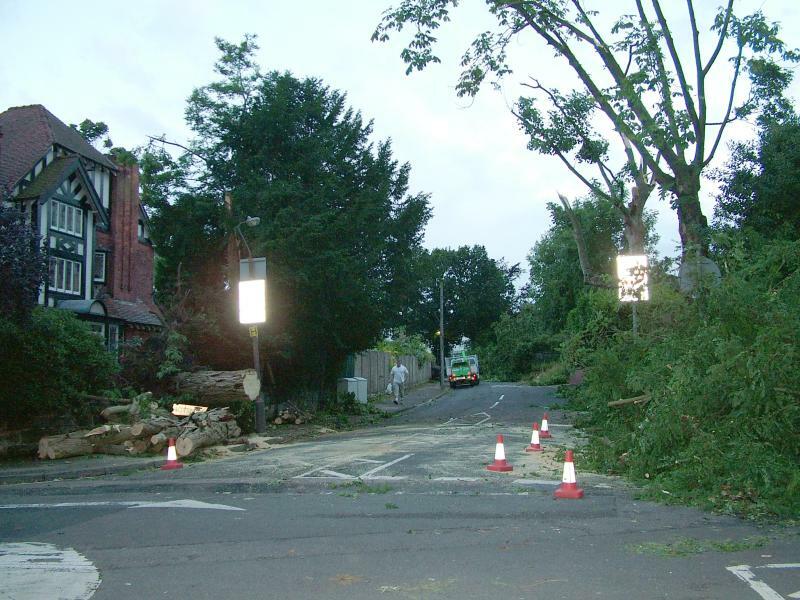 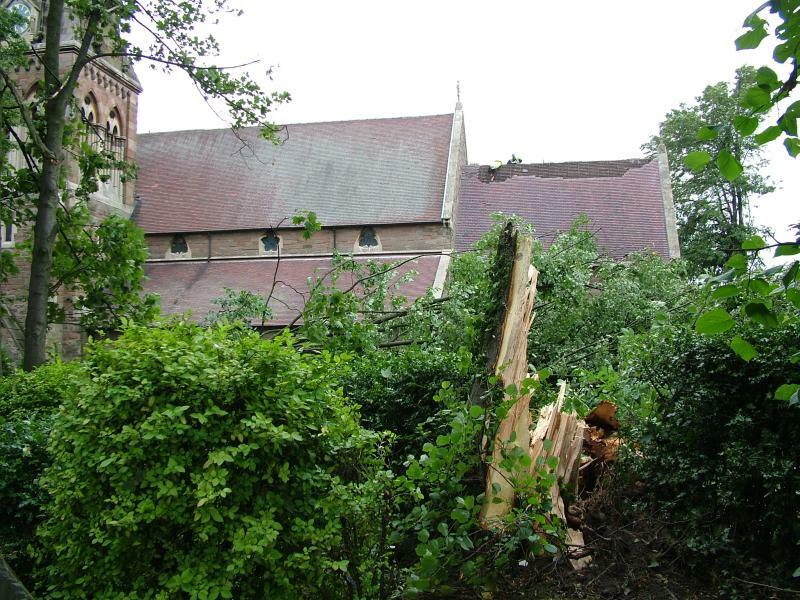 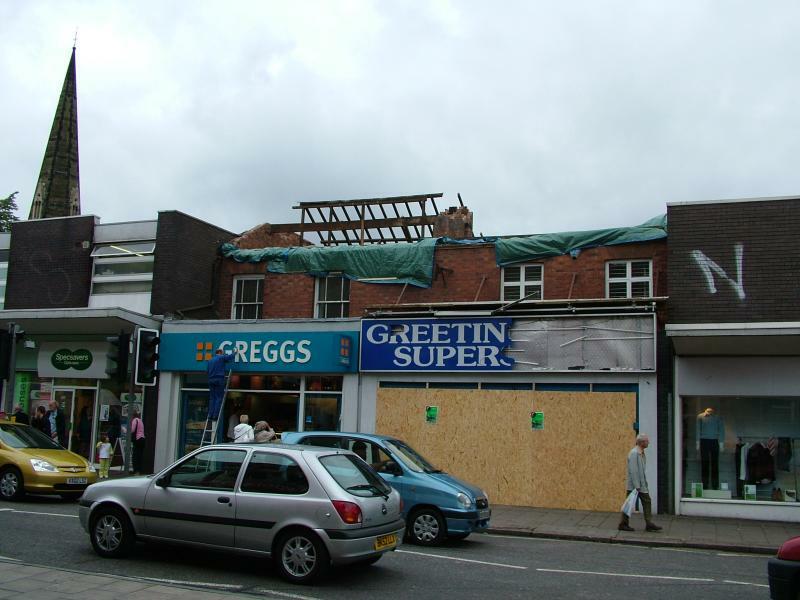 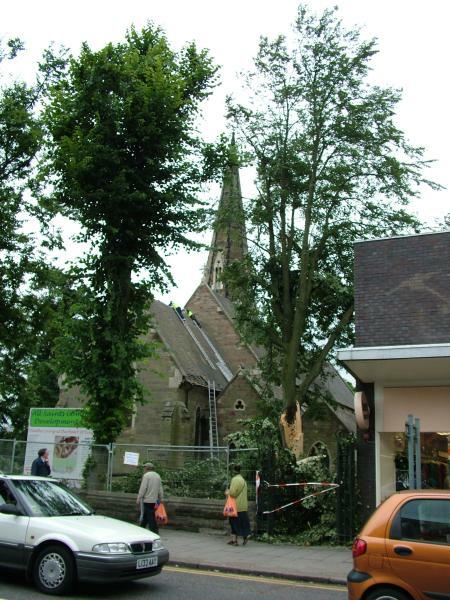 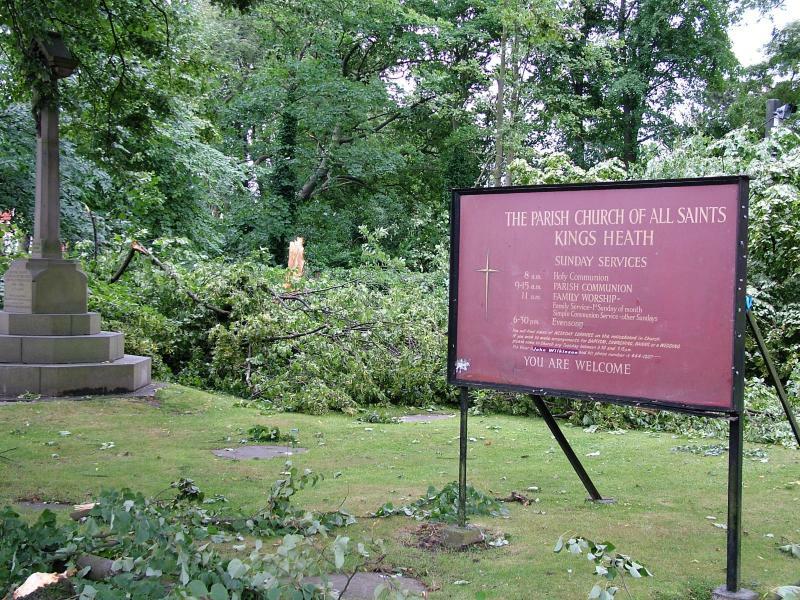 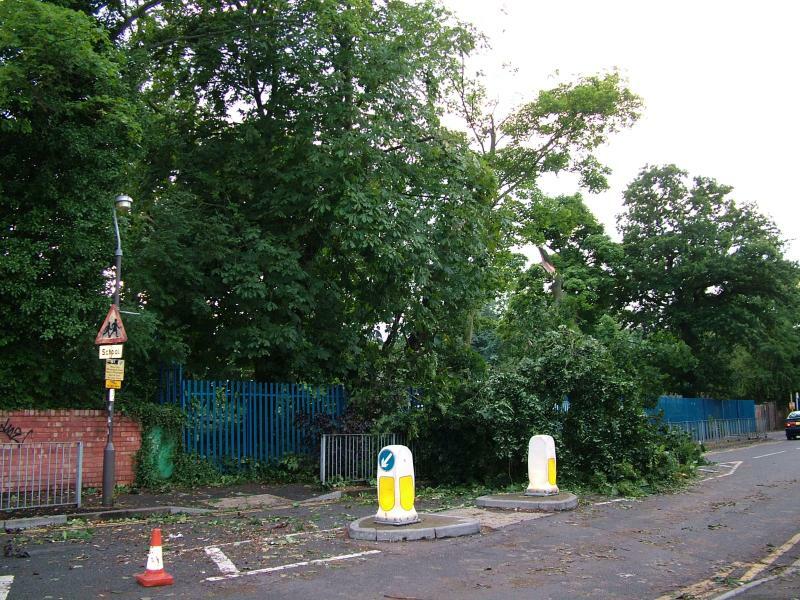 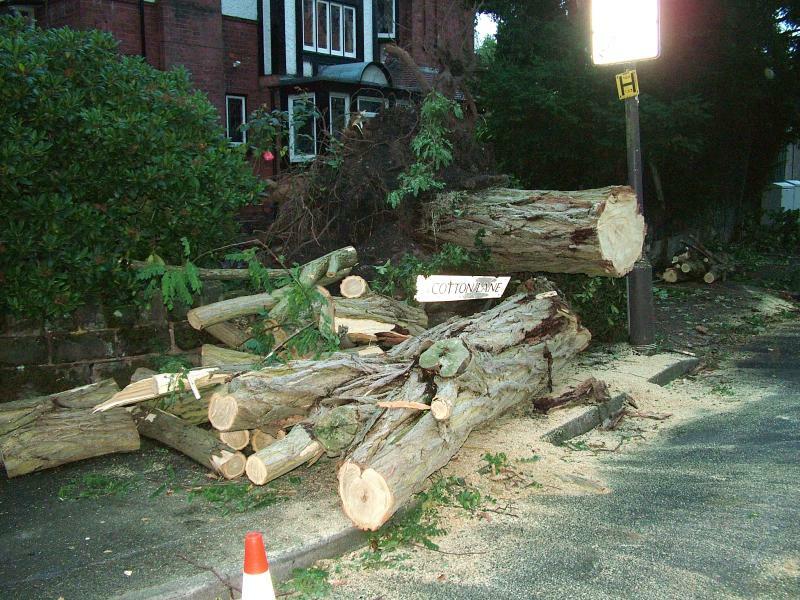 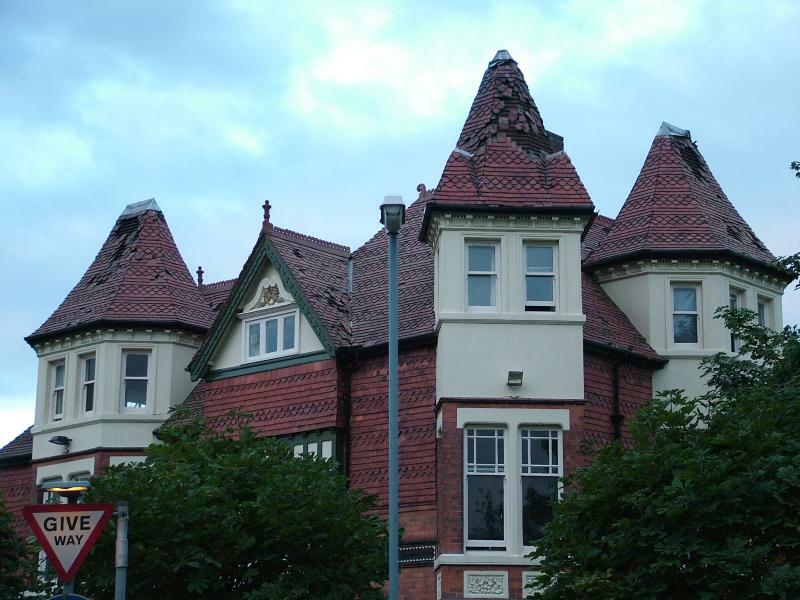 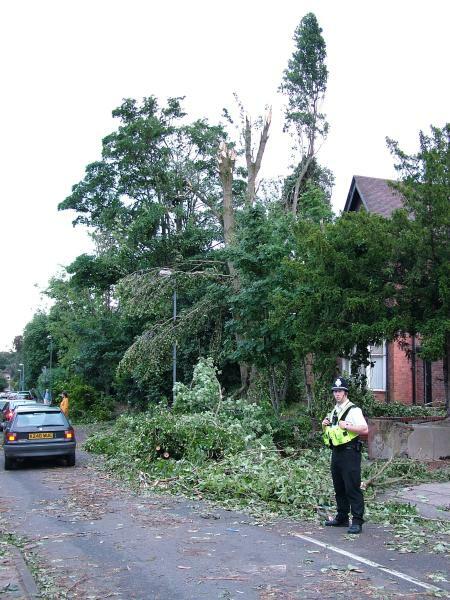 In the afternoon of 28th July 2005 there was a tornado in the Kings Heath, Moseley and Balsall Heath areas of Birmingham. 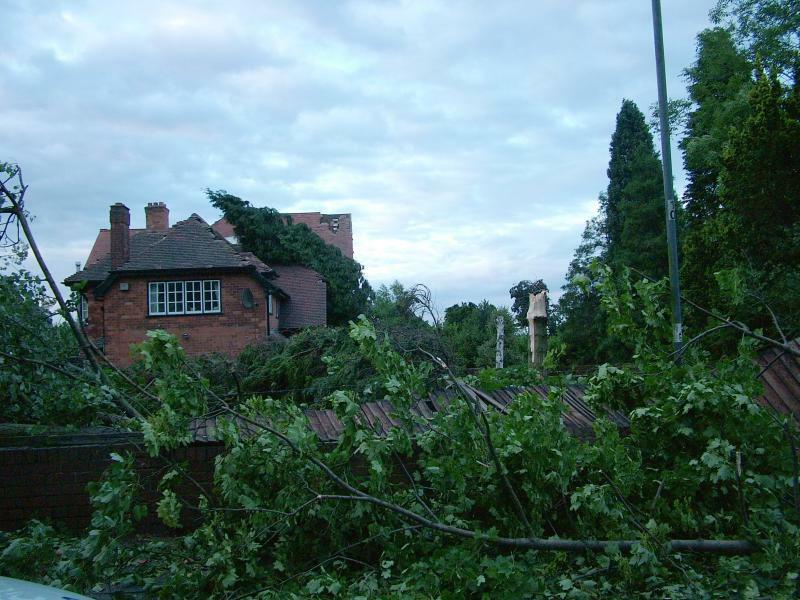 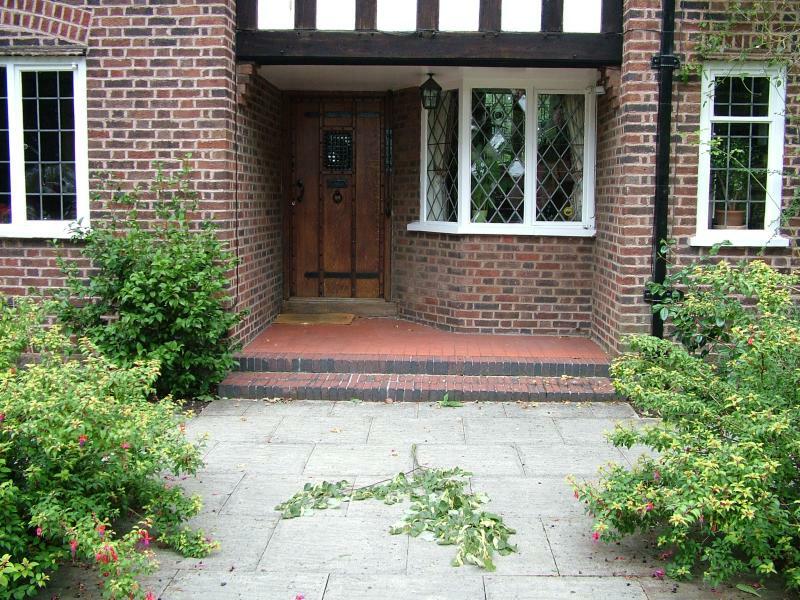 Fortunately for us, the damage was very localised and we have only had a few twigs off our trees. 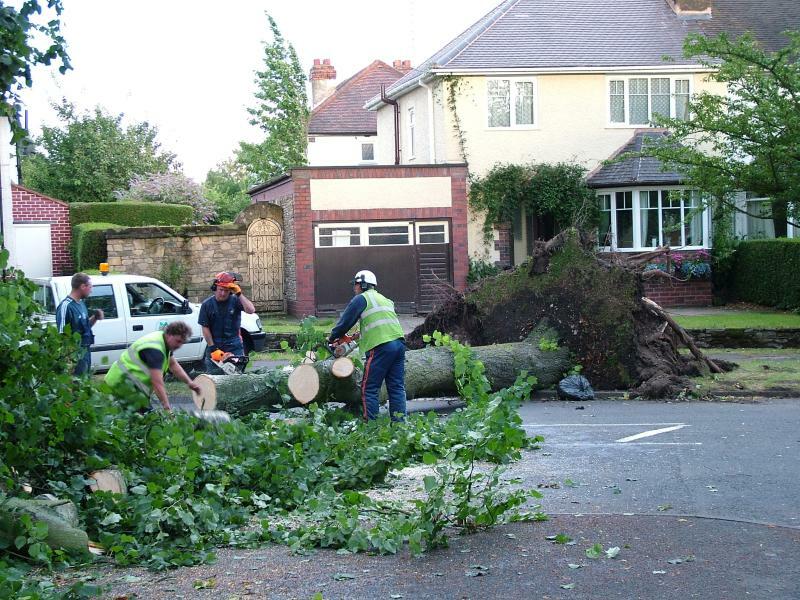 However, just down our road I took the first 2 pictures. 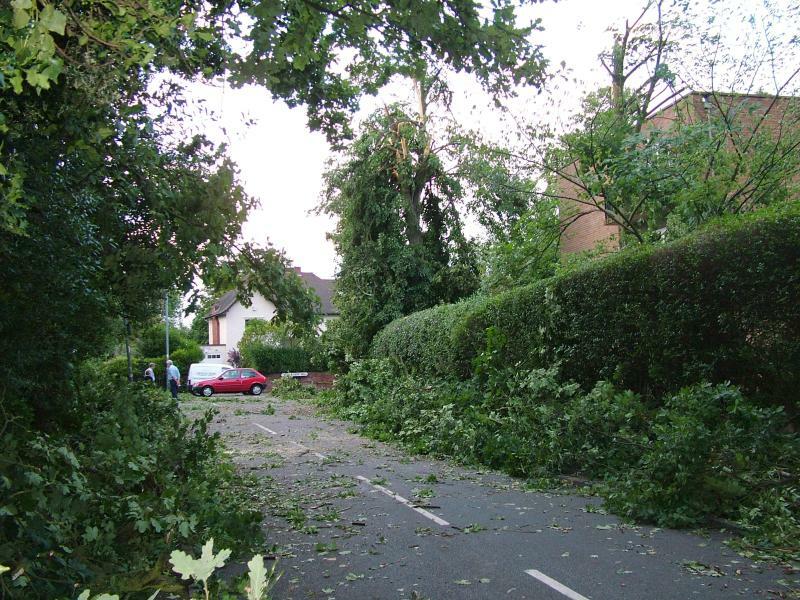 All these pictures were taken within a mile of our house. 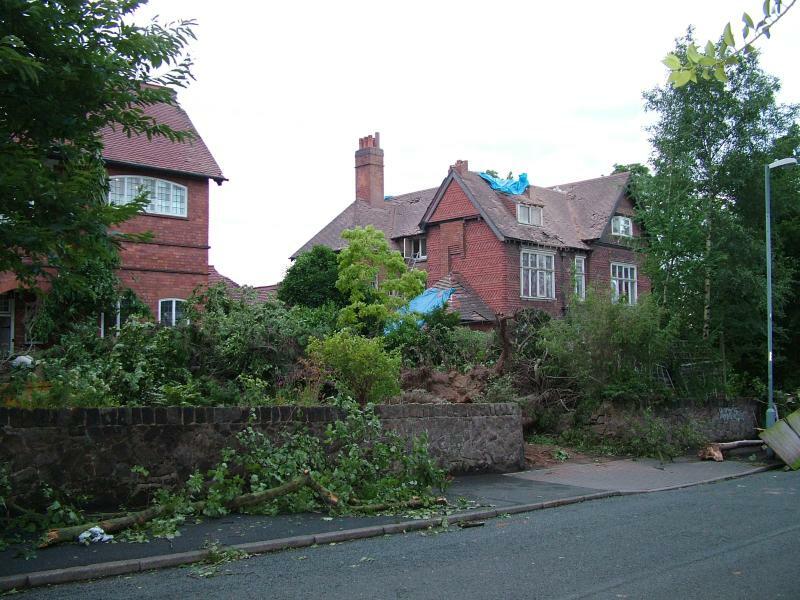 One of the damaged houses shown in a later picture belongs to a colleague in the orchestra. 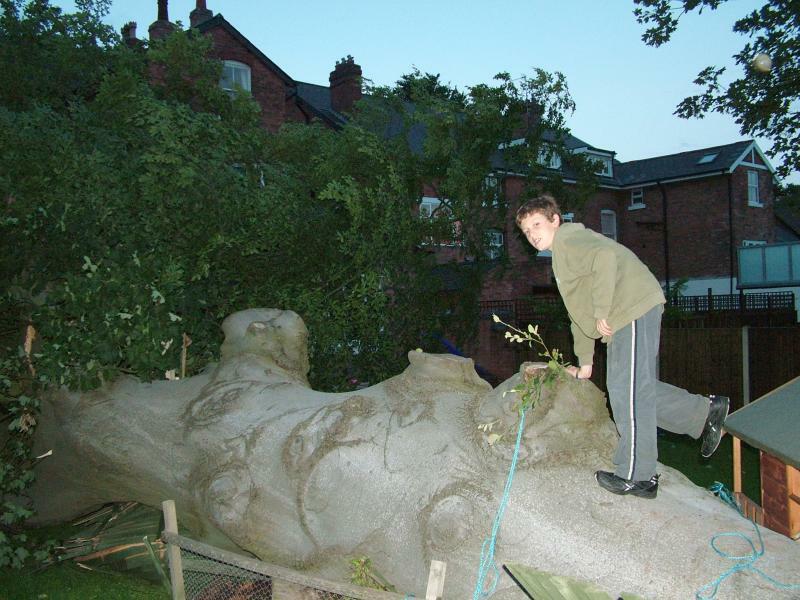 The next 3 pictures show another colleague, Charles, and his son Duncan. 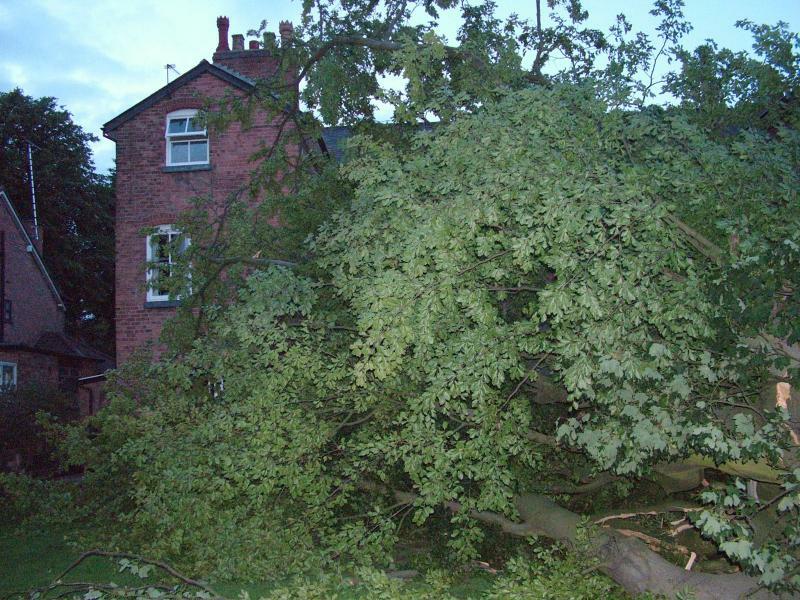 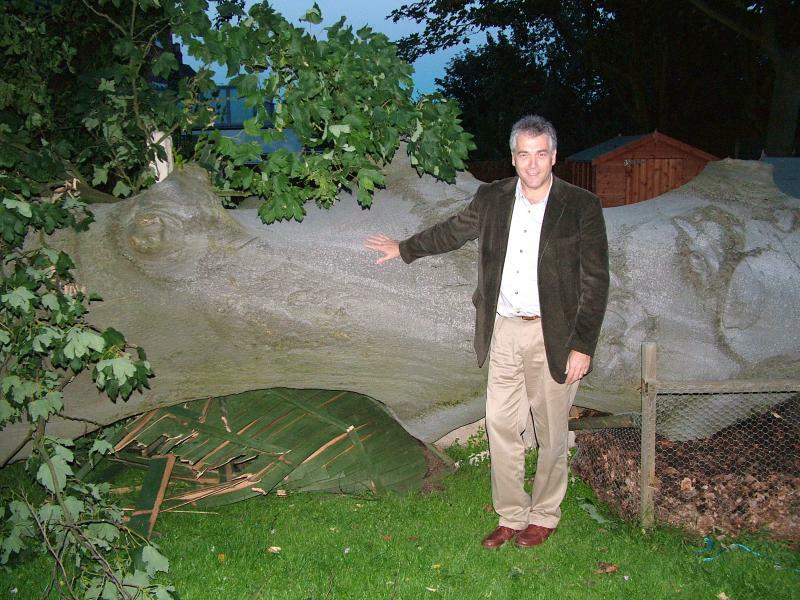 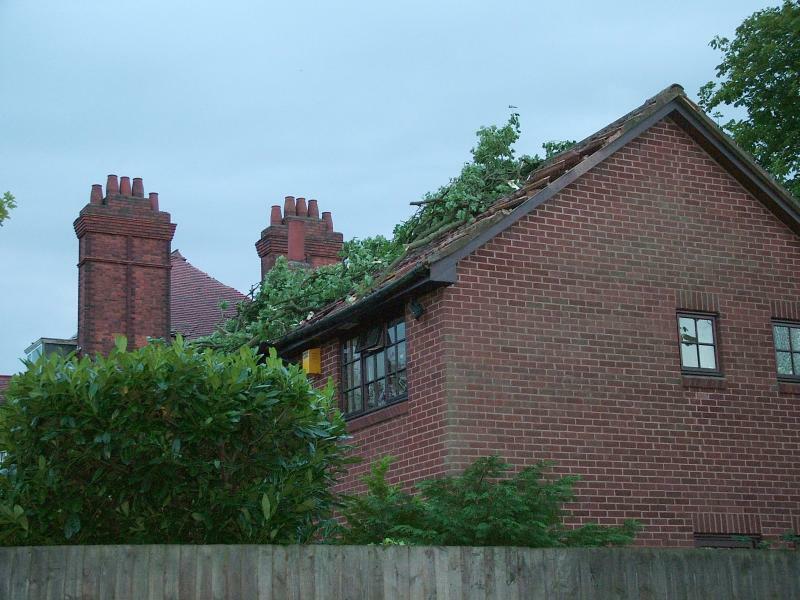 Their house was narrowly missed by a mature beech tree. 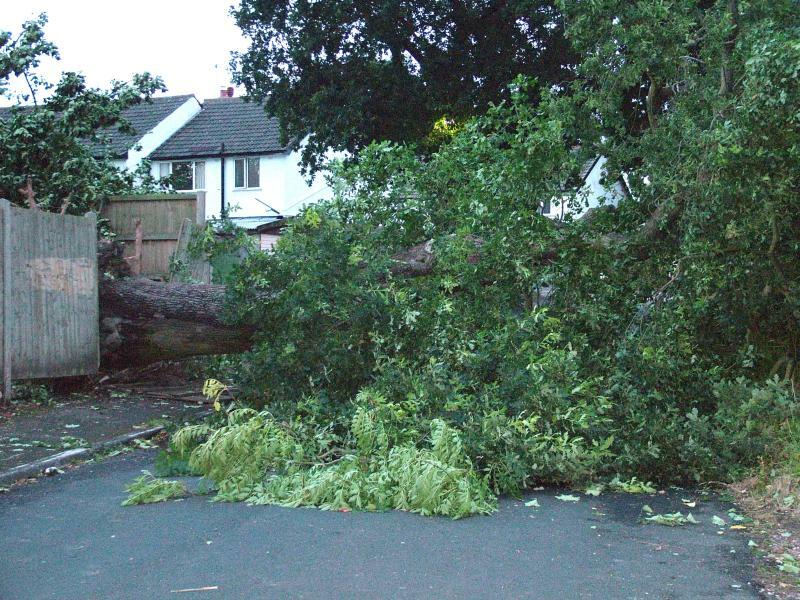 This is the maximum inconvenience at our home!